Based on the research of Deepa Mani, Rajib Saha, and Aditya K.S. Digitisation of research and development can generate significant returns for firms, argue ISB Professor Deepa Mani and colleagues, based on an empirical study of technology spill-overs from the IT industry across an array of other industries. Technology laggards risk being left behind as industry boundaries are redefined. Digitisation today holds tremendous potential across industries. Every organisation is reimagining its business model in the face of disruptive technologies such as wearable devices and self-driving cars. However, two fundamental questions remain: How exactly can the digitisation of innovation create value? And second, if digitisation of innovation is indeed creating firm-level value, what limits certain firms from taking this plunge? “There is a lot of anecdotal evidence around technology spill-overs from the IT industry,” explains Professor Deepa Mani, an expert in the Information Systems area at the Indian School of Business. “Today, cars are not a bundle of mechanical components; they are actually software. Software navigates you, software entertains you. Software drives you. Our paper seeks to provide empirical evidence around the growing Digitisation of innovation across sectors and its impacts.” The research of Deepa Mani and her co-authors, Rajib Saha, Assistant Professor of Information Systems at the Indian School of Business and Aditya K.S., a doctoral student in the Information Systems area at the University of Texas at Austin, demonstrates how investments in digitisation are a central contributor to companies’ innovation and competitiveness. To understand digitisation investments for the future, it is essential to look at how technology investments have evolved over time. Infrastructure upgrades, efficiency improvements, and cost savings were the focus of information technology (IT) investments until the 1990s. For instance, replacing labour with technology in automotive manufacturing dramatically increased productivity in the first wave of technology investments in this sector. In 2017, “smart” digital products are transforming competition. For a traditional car manufacturer, it is now important to acknowledge that technological innovations have become central to survival. Technology upstarts such as Tesla as well as established giants such as Google have become significant players in the automotive industry. They have reinvented operating and business models, challenging sector-specialized manufacturing practices. Against this backdrop, Mani and colleagues studied the shifting nature of innovation through an analysis of the citation network of over 1.3 million US patents granted between 1976 and 2010 across 26 industries. The key observation from this network analysis was the centrality of patents of the IT industry to innovation across multiple sectors. The study’s findings regarding “technology spill-overs” or the direct/ indirect citation of patents of the IT industry by traditionally non-ICT industries mark a departure. Digitisation is no longer restricted to the traditional concept of productivity enhancement. By demonstrating spill-overs from patents of the IT sector across sectors, the research emphasizes a fundamental shift in knowledge production, and makes the case that investing in technology-based innovation is one way of securing companies’ future existence. Two important findings emerged from their investigation, regarding the nature of innovation and the returns on digitisation of innovation. There is a significant increase over time in technology spill-overs from the IT industry across an array of industries and in fields beyond traditional IT, communications, and electronics. The proportion of digital patents in non-ICT industries is growing steadily over time. The increasingly technological nature of innovation marks a fundamental shift in R&D towards digitisation of innovation. Innovations in the automotive industry are increasingly reliant on digitisation, if we consider driverless cars as a recent example. Similarly, in the pharmaceutical industry, technology companies such as Apple and IBM are making medical records accessible to customers through apps and wearable devices as opposed to the traditionally closed health data of core pharmaceuticals and using these vast data troves to create personalized drugs that potentially challenge the blockbuster model. Commitment to digitisation of innovation will be crucial for firms’ future competitiveness. Greater incorporation of digitisation in an industry’s innovations leads to better R&D performance in two ways: through innovative efficiency and recombinant capabilities. When companies innovate using digitisation, the modularity and re-programmability of digital technologies renders the scope of application wide, making investments efficient. For instance, the move to invest in wireless sensors for the automotive industry marked a move away from physical sensors and the ecosystem around developing and maintaining them. However, these wireless sensors can be deployed across multiple automotive systems, and used to measure tire pressure, help with parking, or assist with theft recovery. Digital deployment here creates a fundamental shift in the scope and nature of innovation. Recombinant capabilities refer to the ability to utilize existing technology in new combinations or for new applications. For instance, servicing and maintaining GE’s industrial equipment needed disparate systems until 2011, and contributed to a large portion of company revenues. After 2011, GE made its machinery “smart,” combined discrete technologies for maintaining an entire ecosystem of machines, and utilized big data analytics to monitor, predict, and troubleshoot machine performance. This type of innovation, while initiated in a particular class of industrial equipment such as turbines or medical devices, could be used across multiple industrial markets and classes of equipment with minimal cost, creating multi-layered returns for the company’s investment in digitisation. The key take-away is that digital R&D spend is generating robust investment returns for industries. On average, a unit increase in the closeness of an industry to the IT industry in the citation network yields a 13% increase in innovative efficiency, 74.19% increase in recombinant reuse and 12.12% increase in recombinant creation capabilities. These results emphasize that digitisation of innovation can become an important source of competitive differentiation and value. Explore leveraging technology for recombinant creation or combining existing technologies in new ways. Investigate leveraging technology for recombinant reuse or refining existing combinations of technologies to solve new problems, or identify new contexts. There are some caveats that accompany these suggestions. Lack of access to skilled technical and R&D talent can create a gap between technology innovation intent and performance. A second factor can be the firm’s readiness to exploit technological innovation in terms of operational agility and its historical ability to leverage digital to create competitive value. Firm-level digitisation capabilities are often cumulatively built over time. The digitisation of innovation is impacting business functions as well as business models. Companies are asking the question: what core business are we in? The Toyota-Uber or GM-Lyft collaboration indicates a business model shift for these companies from car manufacturing to mobility solutions. Within the Indian context, companies such as Reliance Energy are actively making the shift. Reliance Energy’s newly launched digital assistance robot, ELEKTRA, is powered by artificial intelligence and provides prompt resolution for customer complaints using data acquisition and GIS systems. The foray into AI is conceptually far-removed from the power utility sector. But it makes sound business sense in terms of the company’s mission of providing “world-class services to customers at their fingertips” and has resulted in reports of greater customer satisfaction since its launch in September 2017. Technology spill-overs have a significant impact on innovation within firms in terms of magnitude, nature, and returns. In other words, there is plenty of bang for your digital spend. The corollary is that if companies don’t invest in the digitisation of innovation, they risk becoming laggards as technology companies get into core businesses. Companies committing to digitisation will be better equipped to compete in a volatile business environment across diverse industries. 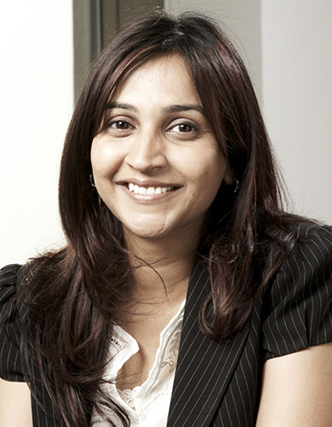 Deepa Mani is Associate Professor of Information Systems at the Indian School of Business. 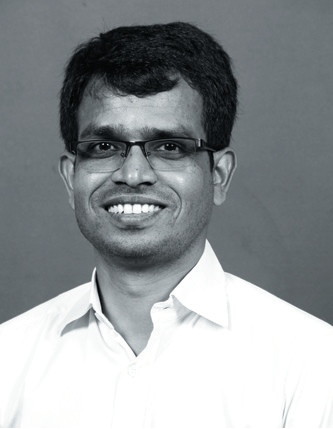 Rajib Saha is Assistant Professor of Information Systems at the Indian School of Business. Aditya K.S. is a doctoral student in the Information Systems area at the University of Texas at Austin. Mani, D., Saha, R. and Aditya K.S., 2017. “Ties that Bind: A Network Approach to Assessing Technology Spillovers from the ICT Industry and their Impact on R&D”. Working Paper, Indian School of Business. Yogini Joglekar is an Editorial Consultant with the Centre for Learning and Management Practice at the Indian School of Business. Assistant Professor of Information Systems, ISB.